It's official: The five Michigan Cup races that award individual points are over! Ken Dawson has provided updated Michigan Cup Standings to date. Forbush Corner has volunteered to serve as temporary course host for this year’s race, since poor snow conditions at Hanson Hills preclude using the normal course. 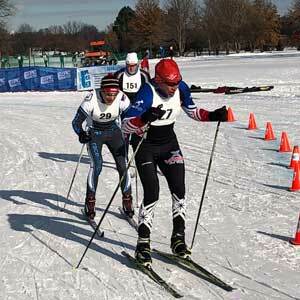 Many if not most of the skiers double-poled the entire course, eschewing kick wax for better glide and faster times. The men's 15k race was close - very close, with a sprint to the finish by the top three men. Thirty-four kids do the Frosty! 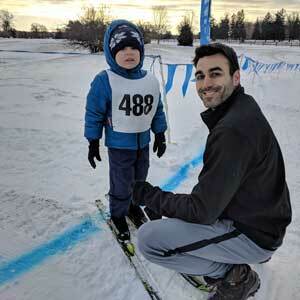 We had an awesome Frosty Kid's race this year! Most of the thirty-four kids raced the entire 2.5k course. 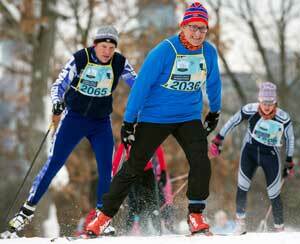 he Frosty Kid's race is part of the Brighton Schools recreation program and hosted by Team NordicSkiRacer. 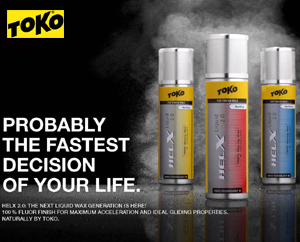 Current results up to Frosty races. 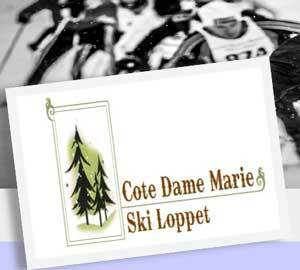 Looks like the races will be multiple loops on the man-made snow that covers the 2.5 km Buck's Run Trail. Should be Krazy! The weather forecast keeps changing, so watch it closely for changes in the snow forecast! 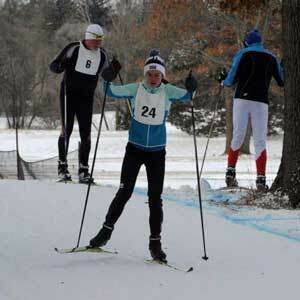 The return of Michigan winter comes just in time for cross-country ski enthusiasts to gather at Huron Meadows Metropark on Saturday, January 13 and Sunday, January 14 for the Frosty Freestyle and NordicSkiRacer Krazy Klassic Ski Races. 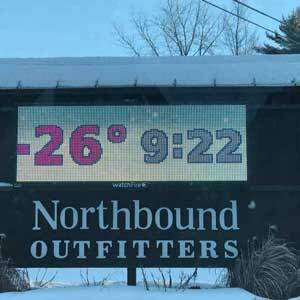 Forty-minutes before the race start time, the temperature on the on the Northbound Outfitter/Cross Country Ski Shop sign showed -26F! This was certainly going to be one of the colder, if not the coldest, race start in the Michigan Cup Series. 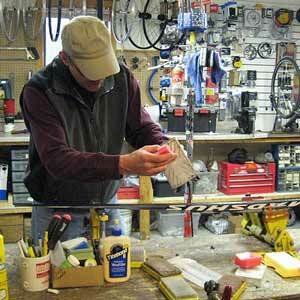 Tuesday Night Sprints return January 9th. These events are a great opportunity to gain race experience and get a great workout with friends. The events are open to everyone from Middle School to Adult. 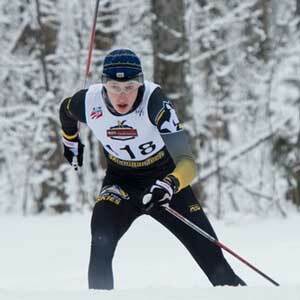 Former Michigan Cup skier Reid Goble finished first in the Central Collegiate Ski Associations qualifying race; Michigan Tech takes top three places.